Sometimes in sporting evens, the most celebrated team is not the winner but the most courageous one. 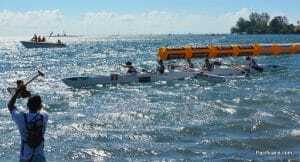 This is exactly what happened at the Outrigger Canoe World Distance Championship 2017, held last week in Tahiti, French Polynesia. Outrigger Canoe, named “canotaje polinésico” in Spanish or “va’a, waa or vaka” in Polynesian languages, is the open-sea canoe used in the Central Pacific islands in traditional sporting events. It is being adopted all around the world, as the participation of 34 countries from 5 continents in this World Championships shows. 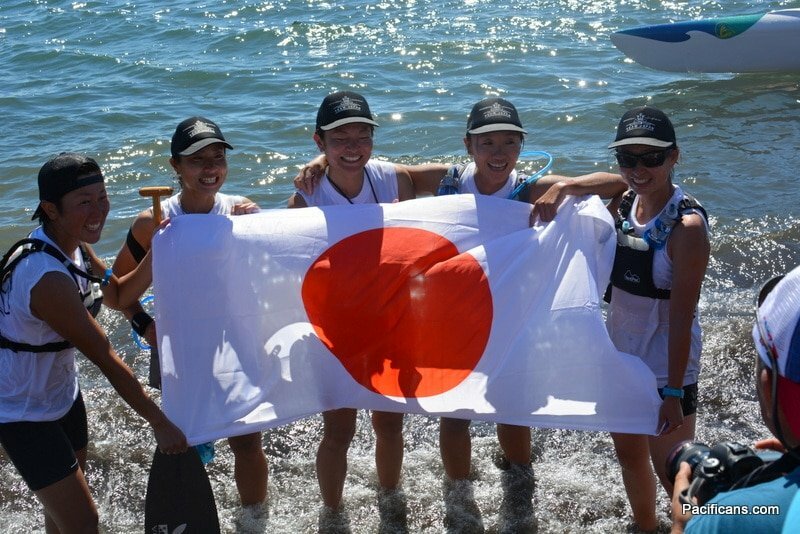 Team Japan was competing in the Open V6 Women trial, where six rowers have to paddle 27 kilometers against the best teams in the world. But the Japanese delegation was very unlucky for this competition: one of the team member got sick with Chikungunya, a debilitating tropical disease, just two days before departure from Narita Airport. 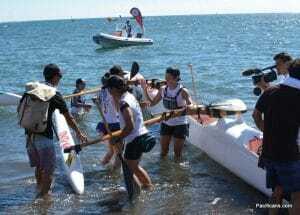 The team was automatically disqualified from getting an official ranking, but was allowed to run the round as five paddlers. Unlucky still, strong winds and high swell made the trial a hardship even for the complete teams. The best thing was that Team Japan didn’t end last. Its (unofficial) timing puts it in 12th place, in front of Great Britain and Singapour. 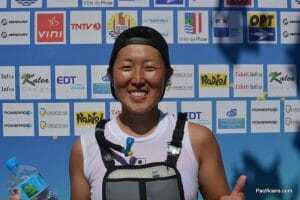 A truly great achievement that made the 5 Japanese paddlers instant legends in Tahiti. An article about their story in the local press was actually the most read and most shared of the whole competition, even as Tahiti won 10 of the 14 trials of the championship… All the comments on social medias are unanimous and can be summarized in one word: respect.